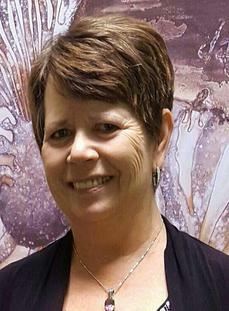 Christina Robbins is a Registered Social Worker with British Columbia College of Social Workers (BCCSW), has earned a Masters of Education in Counselling Psychology from UVIC and is a member of the Canadian Counselling and Psychotherapy Association. With over thirty years of experience, she specializes in the areas of addictions, trauma, dream work and Emotional Freedom Techniques (the tapping method). As well, Christina is skilled in addressing issues of stress, anxiety, depression, feeling stuck, spirituality, and major life transitions. Besides working with the general population, she has also had years of training and experience working with the unique issues of the First Nation, Immigrant and Refugee populations. Christina treats the clients from a holistic perspective, drawing upon her education in Cognitive Behavioural, Person Centered, Solution Focused, Motivational Interviewing and Mindfulness Therapies. Additionally, she is dedicated to increasing her knowledge and expertise in the latest scientifically proven techniques. Her greatest desire as a professional is to empower the clients to help themselves by employing their inner and outer resources.